Welcome to the online home of Paul McAuley. Click on the links above to find out about me and my books, read some articles and stories, or go to my blog. You can also find me on Twitter, under the name @UnlikelyWorlds. 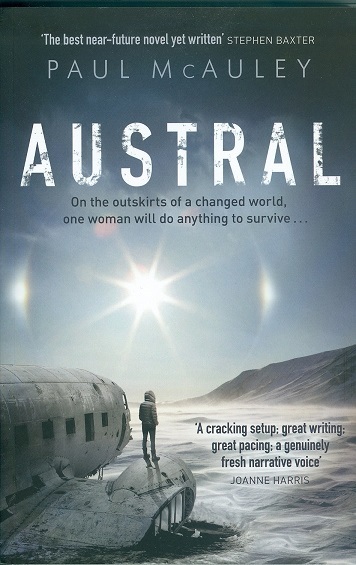 My most recent books are an ebook edition of my short story collection A Very British History, and Austral, a novel about global warming and a short walk amongst the forest and fjords of the Antarctic Peninsula. A new novel, War of the Maps, is due to be published in 2020.